Earlier this month, fans of B1A4 received news that two members of the group, leader Jinyoung and rapper Baro, had not renewed their contracts with WM Entertainment after the original 7-month contract ended. As the other three members—Sandeul, CNU and Gongchan—did re-sign, the future of the group is still unknown and under discussion. On the other hand, all seven BtoB members renewed their contracts with Cube Entertainment before the initial 7-year contract had even come to an end. This leads to the question: what makes a group re-sign or not? Or, what conditions and successes during their career convinces or allows them to be able to stay together? There are many similarities between the two groups: both came from modest backgrounds, only had their main breakthrough several years after debut, and seemed to rely more on a domestic fanbase than an international one. It is clear that domestic musical success and a consistent presence in Korean entertainment is what is needed for a dedicated fanbase and general public recognition, which both B1A4 and BtoB achieved over the years. Yet, the main difference between the two groups is that B1A4’s management failed to make the most of the opportunities laid before the group. Although the group received a moderate amount of success in their earlier years with their fun concepts, they had their main breakthrough in 2014 with “Lonely” and “Solo Day.” While these two comebacks were very different, they were both strong releases in their own way, and the group proved able to excel. However, instead of capitalising on the growing hype surrounding B1A4, WM Entertainment waited for over a year before “Sweet Girl”, a calm and anticlimactic title song. It was then another year-long wait before “A Lie.” The momentum that should have been made the most of had been lost. The members were certainly active in the meantime. Solo activities included variety shows, musicals, dramas and other and acting opportunities. Jinyoung’s songwriting, Sandeul’s solo and so on, meant the members individually were well-known to the general public. Jinyoung was named as one of the top four songwriters who “possess exceptional talent in songwriting.” He even used his skills to write and compose songs for others, becoming increasingly popular as a creative artist. But over the last few years, the members were barely brought together as often as they should have been. Comebacks were few and far between, and they were not promoted much as a group. 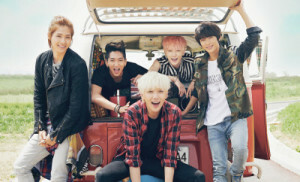 Despite being individually popular and well-established in the industry, the hype for B1A4 itself fizzled out. Meanwhile, Cube Entertainment used the excitement around BtoB’s newfound success in 2015 to their advantage. Their breakthrough song “It’s Okay” was different from previous dance track concepts, instead being a ballad that showed off the group’s vocal abilities. Seeing how well this was received by the public, Cube Entertainment made sure the next few comebacks were similar enough to emphasise BtoB’s prowess in that style, and to provide a sense of familiarity before slowly changing concepts. A sudden concept change after a long wait, like with B1A4, might have damaged Btob’s prospects, but Cube Entertainment’s handling of the situation prolonged the hype and helped to form a recognisable public image and identity for the group. The company also used the members’ comedic skills to their advantage, making them generally liked by the public while highlighting the group dynamics between the members. 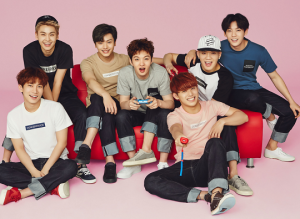 Although solo projects have certainly been explored, BtoB hasn’t shied away from group promotions and fan material. It is this that shows the need for recognition as a group to ensure future prospects for the group; BtoB, as a group, has repeatedly demonstrated their commitment to the group’s own togetherness. In terms of career developments, both groups have had similar trajectories. The biggest difference has been their presentation as a group, emphasising the importance of promoting an image that they want others to become familiar with. 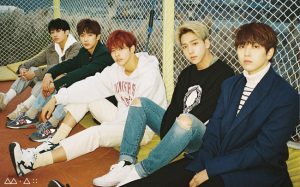 The last few years had not encouraged much public attachment to B1A4’s as a whole, with the focus being placed on promoting the members themselves. On the other hand, the promotion of BtoB and its members remains more balanced. Did the contract (non-)renewals come as a surprise? With more 2011 and 2012 groups’ contracts ending soon, we can’t help but wonder what might happen over the next year.